It’s been a bit of time since we’ve seen a brand-new Mazda model debut. Sure, we’ve seen some great redesigns in recent years, but we’re talking about lacking an all-new entry to the Mazda catalog. Luckily, it seems that will be changing soon. Next month in March, at the 2019 Geneva Motor Show, Mazda will be premiering a brand-new crossover. Most are expecting this model to be the Mazda CX-4. Obviously, drivers can guess that the size of the Mazda CX-4 would fit in between the Mazda CX-3 and the Mazda CX-5 due to naming conventions. However, some might not know that the Mazda CX-4 does already exist in some capacity. A Mazda CX-4 has been selling in China since 2016. However, it is very likely that this Mazda CX-4, if that is what this new crossover truly is, will be a different design with a shared name for American and European markets. We’ve had a lot to talk about concerning the 2019 Mazda3, which is also releasing next month in March 2019. 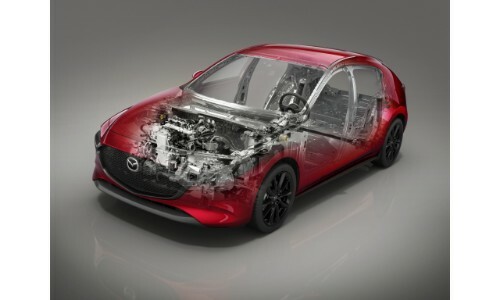 One big innovation of its redesign was the new SKYACTIV®-X next generation spark controlled compression engine. However, it seems that this new engine will not be made available to American audiences, at least not upon its initial release. However, this new crossover debuting at the 2019 Geneva Motor Show, will be built on the same platform as the 2019 Mazda3. In addition to many other things, that means this new crossover, possibly the 2019 Mazda CX-4 or 2020 Mazda CX-4, will have the SKYACTIV®-X engine as an available drivetrain option. One final option we’d like to mention is that this instead might be the debut of the 2020 Mazda CX-3. Instead of a new crossover, perhaps this might be a massive redesign of the Mazda CX-3, basing it upon the redesigned 2019 Mazda3 platform for a brand-new look, feel, and build. 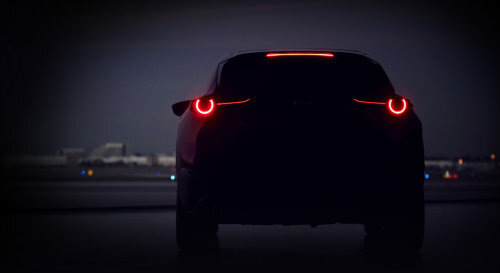 However, we are of course hoping it’s the Mazda CX-4 or a different new model. That would mean much more exciting Mazda news for the future. How Much Space is Inside Each Mazda Model? For more Information on Mazda media and news, please keep in contact with us here at Mazda of Lodi. Our staff can be reached online, by phone, or on location. The Mazda of Lodi dealership is located in Lodi, New Jersey within Bergen County. We’ll be sure to write more about this new Mazda SUV when it debuts next month at the 2019 Geneva Motor Show! This entry was posted on Tuesday, February 5th, 2019 at 5:28 pm	and is filed under In the Media, Mazda, Mazda CX-3. You can follow any responses to this entry through the RSS 2.0 feed. You can skip to the end and leave a response. Pinging is currently not allowed.